These tree frogs are light grayish in color with beautiful patterns of brown or black banding. Juveniles show stronger contrast which fades as they age. Their skin also becomes somewhat bumpy with age. They range from 2.5 to 4 inches in length. Males are smaller than females. They have large toe pads for climbing. Their Latin name Trachycephalus refers to their long snouts which are used for pushing aside leaves and branches and allowing this nocturnal frog to tuck itself into tight hiding places during the day. These tree frogs spend their entire lives in the tropical rainforest canopy (rarely, if ever, descends to the ground). Northern South America (Colombia, Bolivia, Brazil, Ecuador, Peru and Venezuela). Insects, spiders, other invertebrates and small amphibians. Breeding usually occurs in the rainy season (November through May) with the female laying about 2,500 eggs, which hatch into tadpoles in one day. 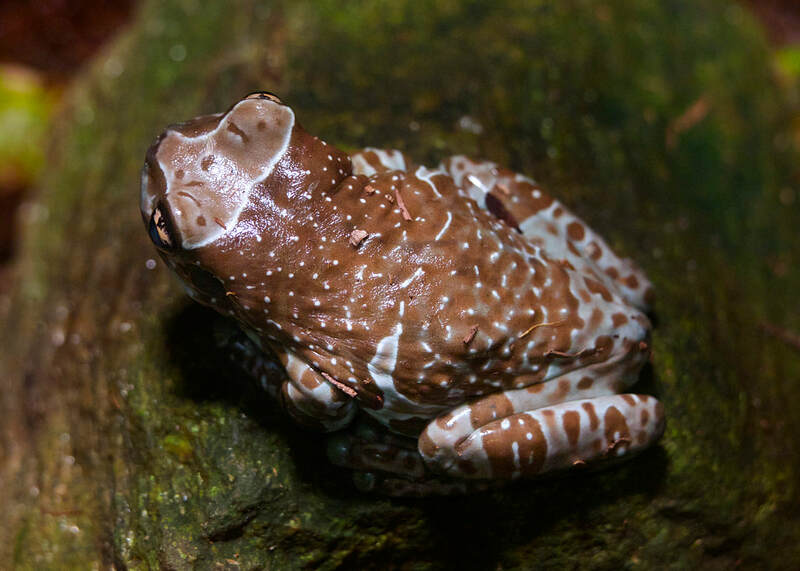 Amazon Milk Frogs are not significantly threatened at this time, but current loss of habitat due to agriculture and logging could lead to endangerment. Amazon Milk Frogs are also known as Mission Golden-eyed Tree Frogs or Blue Milk Frogs. The name “Milk Frog” refers to the poisonous, white secretion this frog may secrete when threatened. This species is most active at night and is known for its loud vocalizations. During the day they sleep in the vegetation high above streams. 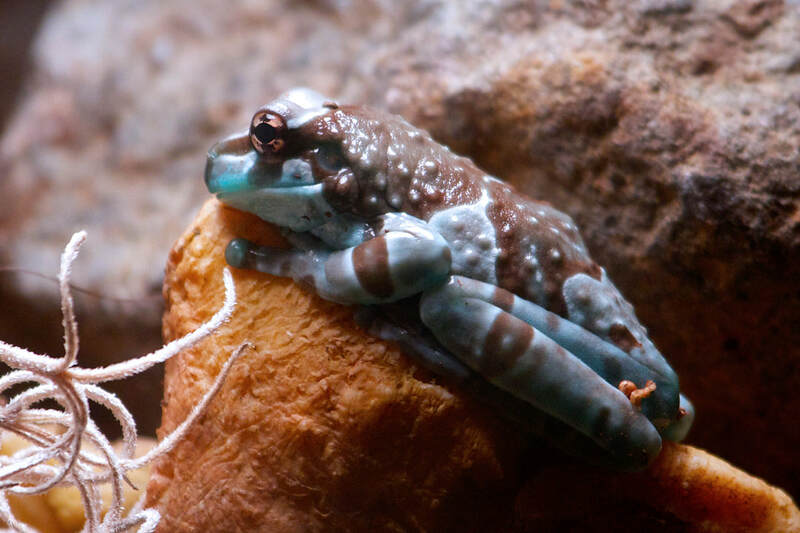 Look for our Amazon Milk Frogs in our Rainforest Building.